20 Excel Keyboard Shortcuts that will Impress Your Boss - Something New Everyday! In this tutorial, I am sharing my top 20 Excel Keyboard shortcuts that can help you speed up your work and save a lot of time. How to use interpret keyboard shortcuts: CONTROL + T would mean press the Control key and then press the T key. CONTROL T would mean hold the Control key and press the T key. If you have numbers in a column/row, you can quickly get the sum by using this Excel keyboard shortcut. 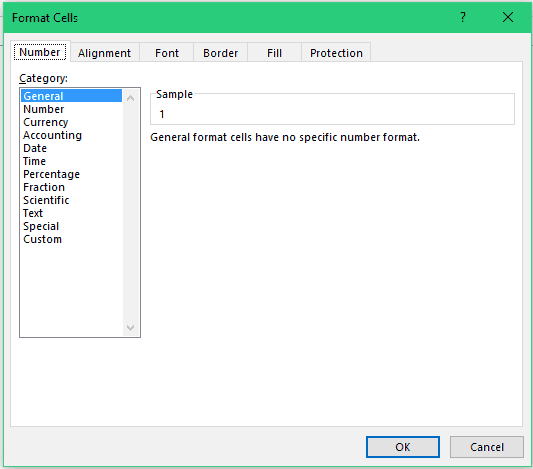 When you copy and paste a cell or a range of cells, it also copies the value, the formula in it, and the formatting. If you only want to copy the values, use the following keyboard shortcut. Five Paste Special Shortcuts that will save you a lot of time. How to Multiply in Excel using Paste Special. This one would help you while entering data in Excel. Use it to copy the cell right above the active cell. Note that this would copy the contents, formulas and formatting as well. You use the following shortcuts to select an entire row or column that contains the active cell. For example, if cell B2 is selected, then Shift + Spacebar would select the second row and Control + Spacebar would select the second column. Note that this applies the "All Border" format, which means that all the cells get the border format. If you want to apply the Outline border only use ALT + H + B + S.
If your work involves inserting a lot of comments in cells in Excel, you'll find this shortcut mighty useful. This would insert the comment and place the cursor within the comment. When you have entered the comment, press the Escape key to come out of the comment mode. The cell that contains the comment would show a red triangle at the top right. If you already have a comment in a cell, this would open the comment and place the cursor within the comment. This keyboard shortcut can be used to quickly insert time stamps in cells. If you have a lot of worksheets in the workbook, it can drive you crazy to navigate through it. Here is the keyboard shortcut that solves this problem. Note that if you continue to hold the keys, it will keep on moving on to the previous/next worksheet. While you can easily apply/remove filter with the filter Filter option in the ribbon (in the data tab), it still takes time and a couple of clicks. Let me first tell you why this is important. Note that a few rows in the original data set are hidden, but when you copy paste it, even the hidden rows get copied. Now when you copy it and paste it anywhere, you can be sure only the visible cells are getting copied. If you work with a data set that is huge and spans across hundreds or thousands of rows and many columns, you'll face the issue of the header disappearing when you scroll down. This often wastes a lot of time as you have to scroll back to see what a data point means. Freezing rows and columns is the way to go in such cases. Note that the top row gets fixed. Note that the left most column gets fixed. If you want freeze both rows and column, select a cell above which you want to freeze rows (you can freeze more than one row), and to the left of which you want to freeze columns (could be one or more than one). For example, if you want to freeze top two rows and one column to the left, select cell B3. It's a gateway to all the formatting you can do this Excel. It opens a dialog box where you have different tabs for different types of formatting. Sometimes, you may want to show the text/data in two or more than two rows in the same cell in Excel. For example, you may want to enter the address in a cell, but want the house numbers, street, city, state in different lines in the same cell. But this would cycle through all the open applications. For example, if you have multiple application open at the same time, such as a browser, powerpoint, word, excel, skype, vlc, and so on, ALT + TAB would cycle through all these applications. Instead, activate a workbook and then use the following shortcut to switch between open workbooks only. If you want to insert bullets in Excel (in case you are creating a list), you can do that quickly by using a keyboard shortcut. Select the cell in which you want to insert the bullet. Either double click on the cell or press F2 – to get into edit mode. Hold the ALT key, Press 7 or 9, leave the ALT key. As soon as you leave the ALT key, a bullet would appear. Excel Table is a must use feature if you work with tabular data. This will open the Create Table dialog box. While it automatically picks the range that needs to be converted, and it most cases it is correct, it's a good practice to cross check this. Click on OK (or press Enter). While most of the people work with data in Excel, if your work involves a bit of text as well, it's a good practice to run spell check before marking the work as final and sending across to your boss or client. Unlike MS Word or PowerPoint, Excel would not show red lines below the words that are misspelled. However, if you run spell check, it will catch those errors. To run spell check, simply hit the F7 key. Working with VBA requires one to switch between the worksheet and the VB Editor. These are my top 20 Excel keyboard shortcuts. I am sure you have some of you own too. Share it with me in the comments section.